Kyushu Pub. Date :2011-07-01 version 1. paperback. New. Ship out in 2 business day, And Fast shipping, Free Tracking number will be provided after the shipment.Pages Number: 276 Publisher: Kyushu Pub. Date :2011-07-01 version 1. A hand steelyard. in one hand and thinking. Shanxi. Yan Xishan why can charge up to 38 set Twice by Chiang Kai-shek as the governor model. which is governance. what attractions of doing things Political wisdom tumbler motto. why let Jia Zhangke. 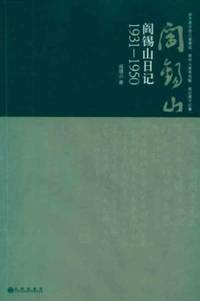 Feng Lun dumping endless service Yen Hsi-shan Diary for the Republic Shanxi King Yen Hsi-shan 1931-1950 years of diaries. dictated by the Yen Hsi-shan. secretary transcripts. more th... Satisfaction guaranteed,or money back.